Google Remembers More than You Realize - Ask Leo! Wherein we consider how much information we "give away" in our daily lives online. As we go about our online activities, Google maintains a surprisingly detailed history of our activities. Most people don’t realize just how detailed it is, or how long it’s kept. More interestingly, Google’s one of the good players, as it actually exposes this history to us, and even allows us to clear it if we want. It’s been called several things over the years, most commonly “web history”. Today, it’s referred to as “My Activity”, since, as we’ll see, it covers much more than web or search history. Near the top of the resulting page will be a statement from Google about who can see the information we’re about to explore. Only you can see this data. My assumption is that Google can and will make any information it has on you available to law enforcement when compelled to do so. They have a record of fighting such requests, which is a very good thing, but I don’t think it’s safe to assume that they can and will win every such case in every jurisdiction. I logged in and was immediately presented with my recent activity. Chrome, my browser, was responsible for most of the items recorded. Android activity (from my phone) was included. 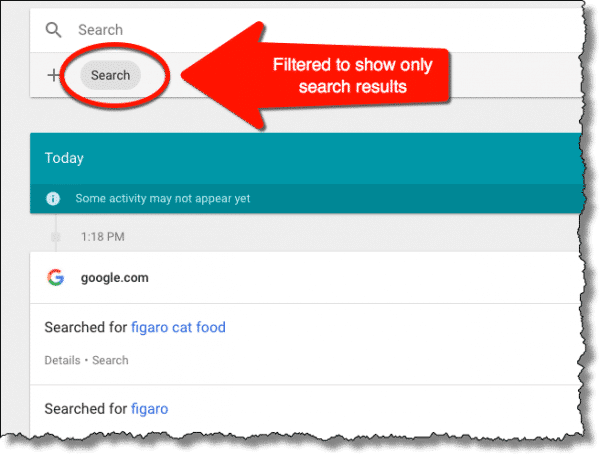 Search is a separate category. Image Search, which indeed, I had been using earlier this day. YouTube. I’d forgotten, but I’d viewed a YouTube video embedded on another site earlier in the day. Clicking on any of those categories filtered the results. That’s my search history immediately prior to beginning work on this article1. That list will naturally change over time. In addition to filtering by the “product” used, you can examine your information by date. The user interface to specify dates is cumbersome2. My activity log dates back to at least 2006. That’s a full decade of my online activity that Google has in its records. Now, multiply that data by the number of Google users, and you have some idea of the breadth of data Google has on their hands. On the left-hand side of the My Activity page are a couple of important links. Activity controls lets you decide what information will and will not be collected at a high level. Data collection defaults to being “on”. You can opt to turn off specific sections — like the Location History shown above — or you can turn all of them off, if you like. The assumption is that this turns off actual persistent data collection. Cynics might argue that the data might still be collected, and all we’ve done is restrict our own access to it. There’s no way to know for sure. Delete activity by allows you to delete the log of your activity by category or by date. My intent here isn’t to scare you. It’s no secret that Google can, and obviously does, keep all this information. It’s perhaps one of their biggest assets. My purpose in pointing all this out to you is simply to raise awareness of how much information we “give away” in our daily lives online. Any online service we use has the ability to record our interactions with them. Some do. Some don’t. Google is upfront about it, making these details of their records easily accessible. As I said, in my opinion, they’re actually one of the good guys when it comes to this kind of thing. Other companies and services don’t publicize the information they keep, and I know of none that make it as easily reviewable. 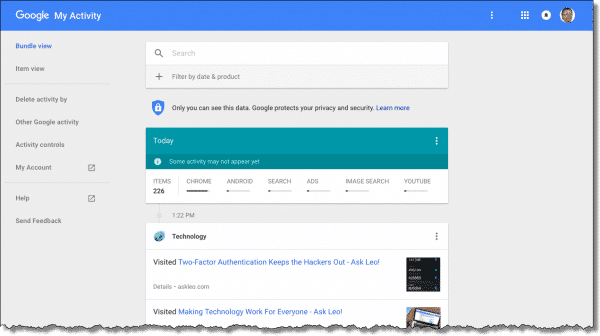 By now, it should be doubly clear how important the security of your Google account is. Should anyone else gain access to it, they could capture this information as well. Whether that’s a problem is something only you can say. Download Your Facebook and Google Data - It's a worthwhile exercise to download the data made available by Google and Facebook, if only to realize exactly what information is being kept. How Do I Delete History Items from My Google Toolbar? - Deleting Google history takes a few steps, depending on what Google history you mean. 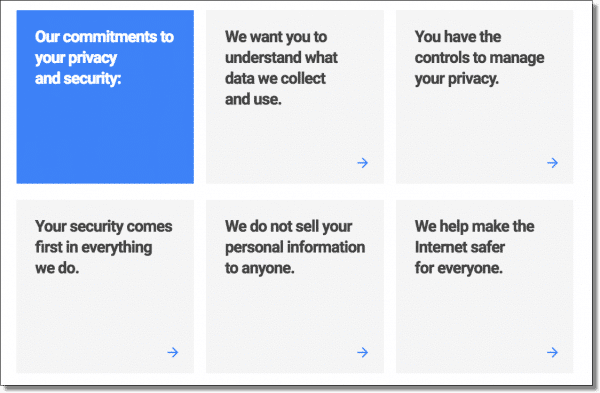 Here are step-by-step instructions for deleting Google history. 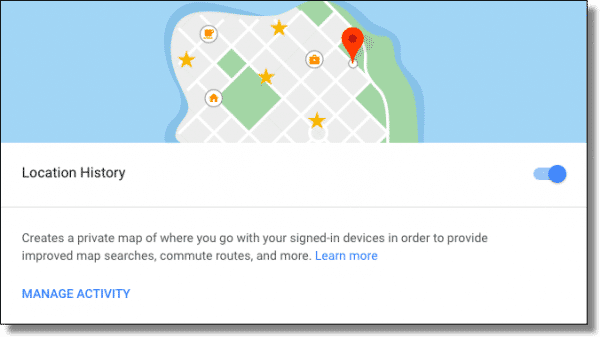 If an IP address doesn’t do it, then how does Google know my location? - Google can find your location through multiple datapoints that you probably don't even realize you're sharing. There's a lively and important debate about how much data entities can and should collect and correlate. 1: Yes, Figaro, as in the cat food. Detailed research relating to the lyrics of “Bohemian Rhapsody”, if you must know. 2: Cumbersome, as in awful. Abysmal. Horrific. Like they don’t want you look back too far because it involves a lot of clicking to get there. « Previous post: What Is DRM? If you are not paranoid, The Google is your friend. When I want the hours of a restaurant, The Google doesn’t give me every darn restaurant of the same name, just the ones near me, at least on the first page. But, if I am planning a trip to Peoria, after a few searches, the Peoria results come up first. If I visit a site and want to go there again after a few days have blurred my memory, The Google corrects my misrememberation (as well as my spelling). 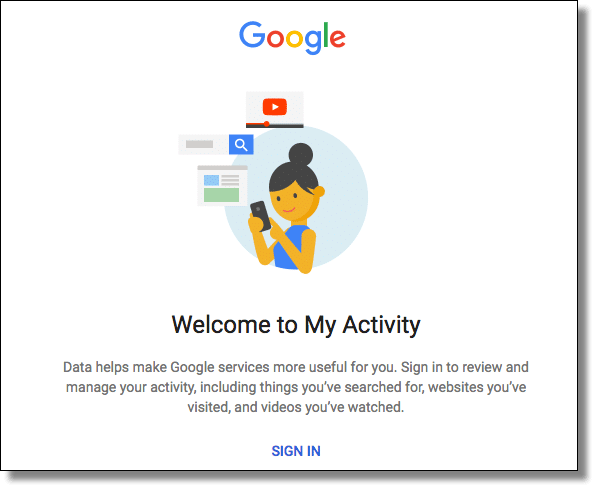 You say, “Sign in with your Google account.” What if you don’t have a Google account? Is Google still saving everything? Yes. Google saves everything whether or not you have a google account. It’s even very likely that you do have a google account and just don’t know it. They save much, yes, but this article is mostly aimed at people who have Google accounts and are unaware of how much is being saved — and accessible to them. I just checked my activity. The only records shown are seven visits to You Tube over the past four years. My only account now is my gmail account. This is checked every time is use my POP client and occasionally by webmail but I see no record of that. I deleted the account I used to use with Google+ some time ago when I found from Google Analytics that a Russian server had been used to make ten second visits my picasaweb site just before my registered credit card was twice used fraudulently. Google closed down picasaweb a couple of months after that. I hope I remember how to get there the next time I can’t find a site I want in my history.